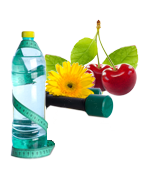 Welcome to Cherry Creek Medical Weight Loss, we are the premiere Weight Loss and Hormone Replacement Center in the Denver area. Our specialization is in Medical Weight Loss programs, Women’s Bio-Identical Hormones, and Men’s Hormone Replacement Therapy. Our team of Weight Loss MD’s and staff stretch across the whole United States and come from many different disciplines helping us put together this clinic with the best treatments and programs. Our Goal at Cherry Creek Medical Weight Loss is to help our patients live a healthier life while looking their best. We believe that each and every patient is different so individualized and custom treatment plans are what we believe in. We are committed to helping each and every one of our patients through our weight loss and hormone therapy programs. Just Click the Book Now logo below and you can reserve your appointment date and time that easy! We will contact you within 24 hours to answer any questions you may have or you can call us at anytime during working hours. We look forward to helping you become the New you! To Book Cherry Creek Location Click Below!!! The results of our patients are an average. Weight Loss Treatments and Bio-identical Hormone Treatment results may vary. The health results claimed on our site are based on factual but also individual results. These examples may not be applicable and/or typical to all visitors of our sites . The efficiency of our Weight Loss and bio-identical medication protocols will be determined at the time of your consultation.